According to the State Statistical Office data, the industrial production volume index in December 2018, in comparison with December 2017, was 7.9. 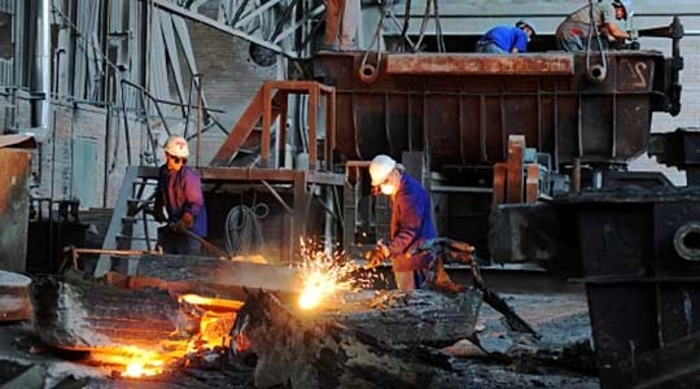 The industrial production in the section Mining and quarrying in December 2018, in comparison with December 2017, increased by 4.6%, in the section Manufacturing it increased by 6.1%, while in the section Electricity, gas, steam and air conditioning supply it increased by 20.0%. The increase in the section Manufacturing is mostly due to increased production in the divisions Manufacture of food products, Manufacture of beverages, Manufacture of textiles, Manufacture of basic pharmaceutical product and pharmaceutical preparations, Manufacture of other non-metallic mineral products, Manufacture of basic metals, Manufacture of machinery and equipment n.e.c., Manufacture of motor vehicles, trailers and semi-trailers and Manufacture of furniture. The industrial production by Main Industrial Groupings in December 2018, in comparison with December 2017, was higher in Energy by 23.9%, Intermediate goods, except energy by 4.6%, Capital goods by 2.4%, and Non-durable consumer goods by 10.5%, but lower in Durable consumer goods by 10.6%. The industrial production index in the period January – December 2018, in comparison with January – December 2017, was 5.4.